This is actually my first hotel review, and I really don't know how to write one. 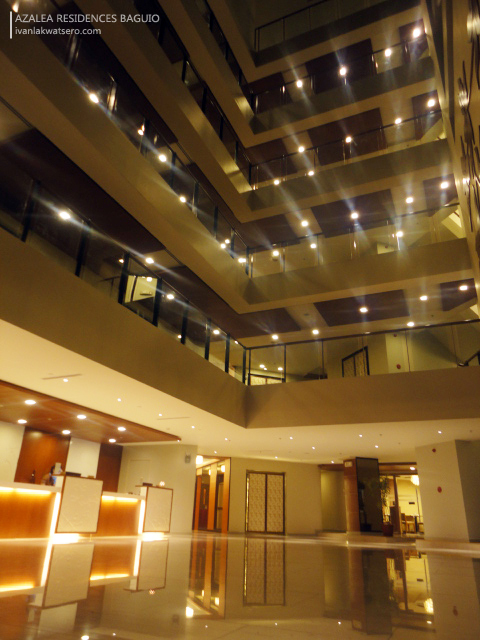 So to make things easier for my readers, I'll be grading my weekend stay at Azalea Residences Baguio with stars. Five stars is the highest and a single star is the lowest. 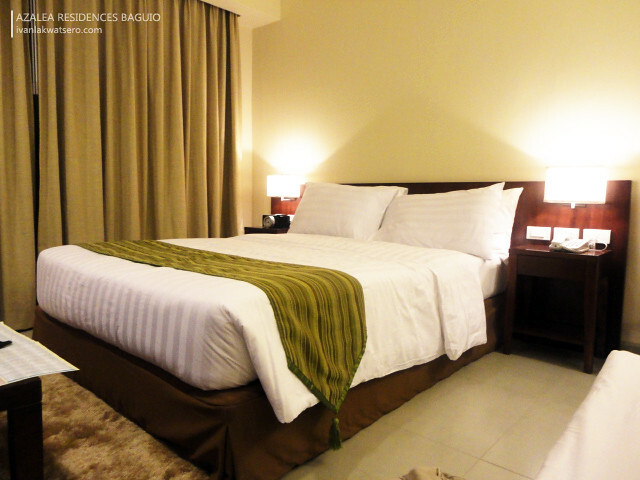 Below are five items that I always consider in choosing my lodging place. Azalea's location is very ideal, so I'm giving them 5 stars. 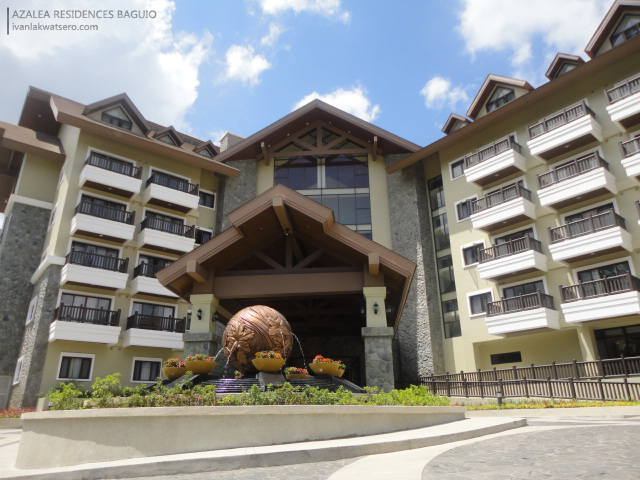 Erected along Leonard Wood Loop, this brand new hotel provided us an easy access to the heart of Baguio city. Traffic noise never reached us so it's a big plus. 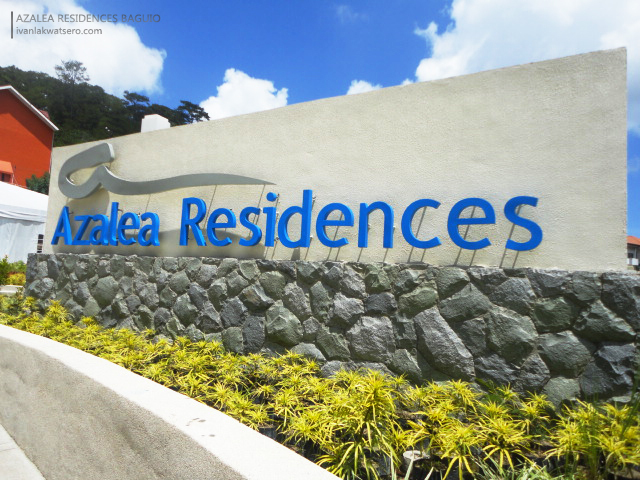 Their service is outstanding, everyone is your friend at Azalea Residences. When you ask them with something, they'll provide it right away. Plus, all of them were smiling, thus they made my day smiling as well. They also have Wi-Fi. So I'm giving them 4 stars - because the make up room service never reached our room even though we already told the chambermaid. There's a cafeteria and a mini bar at the ground floor that serve buffet and refreshing cocktail mixes. I've tried their food and I loved it so much. 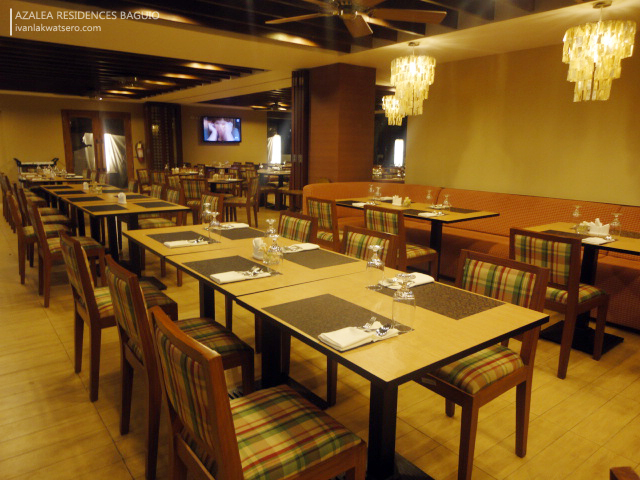 In breakfast for instance, they serve a variety of food from rice meals to bread and butter, from hot chocolate drink to freshly brewed coffee. I'm giving them 5 stars for that. Cozy rooms await each visitor. Aside from the comfortable queen-sized bed, convertible sofa bed and flat screen TVs, each room also has a balcony and a fully furnished kitchen perfect to test your cooking skills. The bathroom is large enough for two persons brushing teeth at the same time. Of course, the rooms are perfect clean. 5 stars again for coziness and cleanliness. Since I'm a budget traveler, I'm giving them a grade of 3 stars. Azalea Residences can provide you a blend of grandeur and contemporary luxury, but that will be quite painful in your wallet. Great service comes with expensive price. 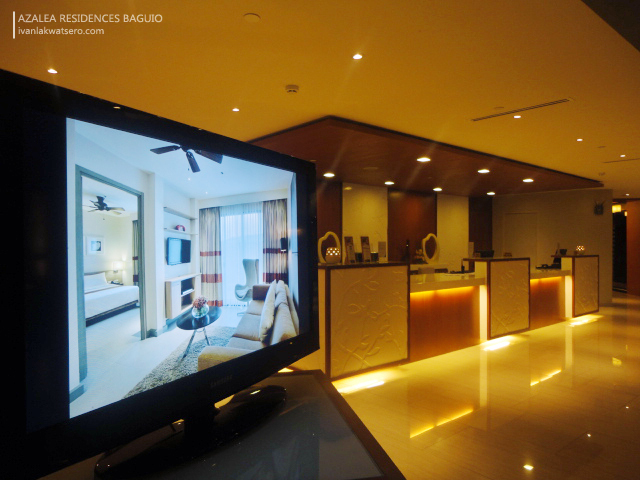 People who can afford to spend thousands of cash for a lodging place must try Azalea Residences, it's definitely worth it. The cost of this hotel is not as expensive as luxury hotels but don't expect it to be as cheap as budget inns, it's in the middle of the two. Ang bilisss! Haha. I'm writing mine after we check in as a family next weekend. Can't wait to bring the whole family there! wow. gagamitin mo na kagad.. hmm. kelan ko kaya gamitin yung akin. kakapressure ka naman, ang bilis mo magblog! looks great! i love this post. Super nice lobby and the rooms too. ganda ng mga shots mo ivan! ang ganda ng facade..ivan, ask ko lang..are your photos in extra large size?